Sacred Music at Saint John the Beloved is an integral part of the liturgy, ennobling the liturgical action of the Mass through the singing of Gregorian chant, which according to Vatican II should be given pride of place in liturgical services. In the 1903 papal document, Tra le sollecitudini, St. Pius X states that “Gregorian chant is the supreme model of Church music.” He also emphasizes that Sacred music must “possess in the highest degree the qualities which characterize the liturgy. In particular, it must possess holiness and beauty of form: from these two qualities a third will spontaneously arise-universality.” All liturgical music at St. John’s strives to embody these three principles for the glory of God and the sanctification of our parishioners. The choirs at St. John the Beloved are trained to assist the sacred action through the singing of Gregorian chant and polyphonic motets. Each choir emphasizes importance of refining the sound that supports the liturgy, and opportunities are given in each choir to learn and grow in musicianship. The Sacred Music Apprenticeship at St. John the Beloved provides musical and liturgical training for 11th- 12th grade high school students who wish to serve at Mass through their music. The apprenticeship offers two tracks: cantor and organist. In both tracks, students receive regular formal instruction in the theology, history, music and planning of the liturgy as well as practical experience assisting at the liturgy. Graduates of the Apprenticeship will understand their spiritual and practical role in the liturgy, have the training to plan and lead music for the liturgy, and be well-poised to continue further education after high school if they so wish. 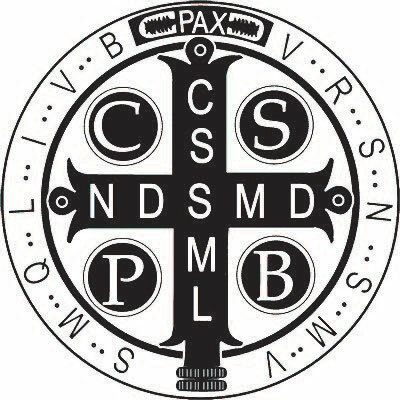 Starting this September, we invite you to join the Saint Benedict Cantorum, a young men’s group devoted to praying together and singing the 9:00am Mass twice a month. We will meet every Sunday at 8:00am to pray the Divine Office (Morning Prayer), read excerpts from the Rule of Saint Benedict, and rehearse music for Mass. To apply for the apprenticeship or if you have questions, please email the Director of Music, James Senson at: [email protected]. A volunteer choir that sings twice a month for the 10:30 a.m. Sunday Mass with rehearsals at 9:30 a.m. Singers must be practicing Catholics willing to sing Gregorian chant and polyphonic music. Lessons on how to sing chant are provided at every rehearsal. Prior musical training is encouraged and an audition is required. A schola of girls from 7th-12th grade that rehearses every Sunday morning 9:15-10:20 a.m. and sing bi-weekly for the 10:30 a.m. Mass on Sunday. Prior musical training is encouraged and an audition is required. A choir of professional voices (SATB) who sing regularly for the Extraordinary Form of the Mass at noon on Sundays. Rehearsals are held on some Thursday nights and auditions are required. If you would like more information about each choir or interested in auditioning/joining, please email James Senson.